A couple of days ago, we reported that the Asian version of the HTC One (M8) with a 2.5GHz MSM8974AC Snapdragon 801 processor crushed the competition in the AnTuTu 4 benchmark. However, the triumph of the One (M8) may be short-lived, as it may turn out that the phone is cheating. 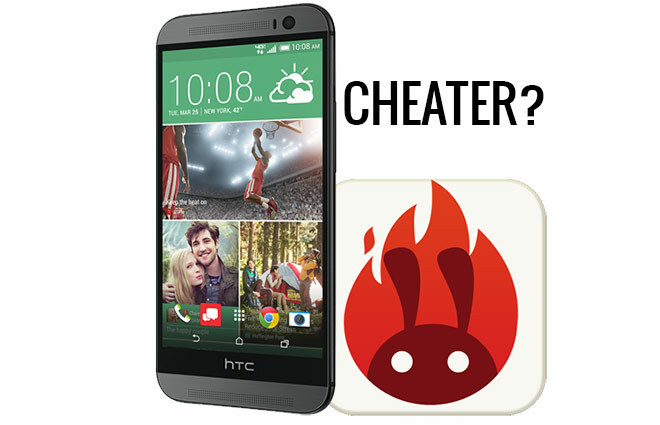 Naturally, difference of the two scores by the HTC One (M8) isn’t necessarily a result of cheating. The AnTuTu X benchmark could be scoring the phone’s hardware (read memory and RAM, in addition to the CPU) differently. When we get a hold of the Samsung Galaxy S5 and Sony Xperia Z2, we’ll run the benchmarks ourselves to confirm if this sort of behavior is indeed the case.